It is important that afterschool professionals understand and participate in the discussions surrounding recent ideas and concepts in improving young people’s learning. A number of recent developments support expanded learning time, both in school and out-of-school. For example, the Chicago school system recently announced its plans to extend the school day by 90 minutes and the school year by two weeks, beginning the 2012-13 school year. Education Week's reporter Christina Samuels has more on Chicago's new plans in her August 23rd article. Additionally, four states each received $50,000 grants to develop a plan that integrates expanded learning opportunities (including afterschool, summer, and extended day and year programs) in their education systems. The grants are awarded through the Supporting Student Success: The Promise of Expanded Learning Opportunities initiative, which is sponsored by the C.S. Mott Foundation. For more information, please click here. In light of these recent developments advocating expanded learning time, we offer a two-part interview with Jennifer Davis, President and CEO of the National Center on Time & Learning, on Expanded Learning Time. Q: Do we have any research that speaks to the benefits of incorporating Expanded Learning Time into the school day? A: Perhaps the strongest body of evidence on the relationship of time to higher outcomes comes from the field of charter schools, 60 percent of which operate with a day and/or year longer than the national average. In a study to understand why middle school students in four Boston charter schoolsAmerican Institute of Research significantly outperformed students in district middle schools, the reported that one of the major structural differences between the two types of schools was their hours of operation. Boston charter students attend school for more hours per day and more days per year on average that together add an extra 62 traditional-schedule days per year. An even more compelling piece of evidence that expanded-time schools have more success in promoting high achievement springs from a study by Stanford University researcher, Caroline Hoxby, of the charter schools in New York City. She performed a multivariate analysis of the association of school policies to student outcomes revealed that, among charter school students, those who attended schools with a significantly longer school year performed better than their peers in charter schools with years of more conventional length. Indeed, the length of year was one of the strongest predictors of student outcomes among a number of school policies identified. Most charters in the New York City study with a longer year also feature a longer day so those two features should be considered as a unit. Also, the schools in Massachusetts have, as a group, outperformed a matched cohort of similar schools without more time. Our state affiliate in Massachusetts, Mass 2020, produced a report with more details. Q: The Learning in Afterschool (LIA) project is promoting approaches that ensure learning experiences that are active, collaborative, meaningful, support mastery and expands young peoples’ horizons. Can you describe how these principles are aligned with how you view Expanded Learning Time? A: In one way, ELT is not as much about promoting a particular vision of learning experiences, but, instead, about affording educators the opportunity to realize their own vision more fully. Time is a precious resource for educators, but it is not the finished product or the destination. That said, those who believe in the power of time to change education also believe that the kind of learning imagined by LIA is simply not possible within the confines of a traditional school day and year. Teachers and students are typically expected to cover a wide range of topics and, thus, are too pressed for time to build in educational elements that rely on collaboration or move beyond the “talk and chalk” pedagogical approach. A whole-school re-design, built upon a platform of expanded time, enables educators the opportunity to introduce fresh methods of teaching and learning. We are seeing many examples of hands on learning, deeper science experimentation, mastery around music and the arts across a number of expanded-time schools which align very well with the LIA vision. Q: There are those who say that kids who are most at risk for academic failure should be spending their extra learning time in remediation activities, and can do without activities that incorporate the LIA principles. How would you respond to these comments? A: There is no doubt that many children simply need more time on task. There is just no way around the fact that some children need more repetition and exposure to certain content before they can become proficient. And, yet, one of the key benefits of having more time is actually building in a more methodical approach to addressing individual student learning needs. Known as Response to Intervention, this approach calls for first assessing student learning deficits and then building in regular supports to help students overcome those deficits. With more time, schools are able to schedule those sessions, not as pull-outs that mean students will miss core class time, but as separate and targeted lessons that all students participate in. Additionally, as noted above, ELT is as much about providing students a well-rounded education as it is about helping every student to achieve proficiency. More time enables this goal to be met. The most successful schools we have studied often provide extra academic support with teachers and on top of that engaging enrichment programming in the same subject often provided by a community partner. Q: You’ve been a longtime advocate for expanding quality learning opportunities for all children. What do you view as the major threats and opportunities in the decade ahead? A: We just released a report called Learning Time in America which details these threats and opportunities, but, briefly, I would say there are two fundamental threats and at least three key opportunities. As for the threats, the first – and most obvious – is money. It is difficult to add more time without spending at least some additional resources. These resources are definitely not proportional to the time added – meaning that increasing time by 30 percent, for example, costs nowhere near 30 percent more – but in a time of tightening public budgets, getting policymakers to commit more money to expanded time is a tougher sell. A second threat is more subtle, but, in some ways, more difficult to overcome. This is the misperception that more time means just “more of the same.” At NCTL, we know that more time, done right, acts to stimulate much more “out of the box” thinking about education. But, for those who hold a dim view of schools now, overcoming that bias that giving “poor quality schools” will only mean more money wasted, is a challenge. This is what gives us the most hope: for those who believe that public education has the potential to prepare all students for college and career, more time has become a key lever of improvement. It is impossible to predict how many more schools will break from the confines of the conventional—and outdated—American school calendar in the coming decade. What we do know, however, is that those who are able to add time and to use it well will find their efforts rewarded with rising proficiency and a richer, fuller education for students. It will be important, however, for those who believe in the LIA principles to be at the table as these new school designs and policies unfold to help traditional educators think “outside the box” and redefine the boundaries of what constitutes a quality education. Jennifer Davis is the President and CEO of the National Center on Time & Learning, an organization created in 2007 to advance the issue of time and learning nationally. For the past 20 years, she has held numerous positions at the federal, state and local levels that are focused on improving educational opportunities for children across the U.S. Below is the second part of our interview with her. It is important that afterschool professionals understand and participate in the discussions surrounding recent ideas and concepts in improving young people’s learning. Below we offer a two-part interview with Jennifer Davis, President and CEO of the National Center on Time & Learning, on Expanded Learning Time. Q: We have been tracking the growing interest in Expanded Learning Time through a longer school day. To begin, can you briefly describe the National Center on Time & Learning? What do you mean by this term, Expanded Learning Time? A: The National Center on Time & Learning was founded in October 2007, and grew out of our work in Massachusetts-- in partnership with state leaders --to develop a statewide competitive grant program called the Expanded Learning Time (ELT) initiative. ELT allots grants to districts with schools that add at least 300 annual hours to their schedules for all students to stimulate a whole-school redesign of the educational program that will include (a) more time for academics, (b) more time for enrichment (often provided by community partners) and (c) more time for teacher collaboration and professional development. This is what we mean by Expanded Learning Time. We seek more time for schools not just so they can provide more academic support – though this is essential – but really to afford schools the opportunity to re-think and re-configure how they use time throughout the day and year. More time can open up schools’ capacity to better address the learning needs of every student and to engage students in a wide array of enriching activities. NCTL is committed to spreading this vision of ELT to schools and districts across the country. Q: It appears that the notion of Expanded Learning Time has taken hold around the country and captured the interest of federal policymakers who are interested in improving academic outcomes. Can you say why you think this idea is growing in popularity? A: There are four basic reasons why expanded time has become so appealing. First, if you look at the high-performing schools serving high poverty students in this country, expanded time – that is, substantially more than the American norm of 180 six-and-a-half hour days – is one of the key design elements. These educators know that the conventional calendar is simply insufficient to educate today’s children, especially children coming from disadvantaged backgrounds. More time used well can close the persistent academic achievement gap for individual students. Second, almost all high-performing nations across the globe have more time standard in their school calendars. As America struggles to close achievement gaps and to remain economically competitive with other countries, like mainland China, Korea, Japan and Germany, a longer day and year will help us to better educate our young citizens and prepare them for economic success. In the era of high standards and, especially the high-stakes accountability ushered in by No Child Left Behind, schools have become focused primarily on enabling children to achieve proficiency in the tested subjects, namely math and reading. In response, time use has shifted to accommodate this focus. One study showed that elementary schools spend more time now in math and reading classes, at the expense of science, social studies, art and physical education. Having more time in the school day, however, will enable schools to maintain enrichment and non-core subject classes, and provide more time to the subjects where students must demonstrate proficiency. In many expanded-time schools deep partnerships have been developed to broaden opportunities for students to engage in activities like music, arts, apprenticeships and more. Pressure to achieve proficiency will only grow over the coming years, as states move to implement the college- and career-ready standards known as the Common Core and as more states implement requirements around science education in addition to English and math. Finally, teachers need more time to meet with grade level and subject specific colleagues, plan, review data and participate in professional development. We know from surveys of teachers that many do not feel as though they have time to meet the needs of individual students or to collaborate with colleagues. These four compelling reasons have, together, led to significant momentum across the U.S. to modernize the American school schedule. Q: There are a number of afterschool leaders that are concerned that Expanded Learning Time and the longer school day will lead to the takeover of afterschool by school leaders who’re pressured to offer more remediation leading to “more school after school.” What would you say to those who hold these concerns? Are there any guiding principles that ensure that these fears will not be realized? In fact, the Massachusetts grant program specifically give a preference to applicants who have partnered with afterschool providers and other community-based organizations to provide robust enrichment programming. Likewise, the centerpiece legislation promoting expanded time at the federal level – called the Time for Innovation Matters in Education (TIME) Act – includes a provision giving priority to schools that partner with community organizations. We know of too many schools that when they have the option to add just one hour do focus just on remediation. This is why our policy proposals call for at least 300 additional hours to the school calendar which usually adds up to about 90 minutes a day—giving time for a broad array of enrichment and youth development options (e.g. arts, music, videoing, robotics, apprenticeships, etc.) as well as academic support. 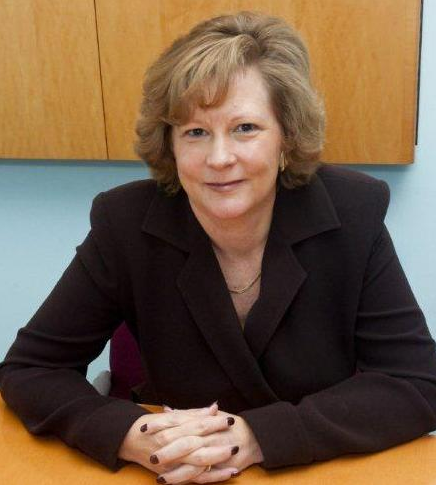 Jennifer Davis is the President and CEO of the National Center on Time & Learning, an organization created in 2007 to advance the issue of time and learning nationally. For the past 20 years, she has held numerous positions at the federal, state and local levels that are focused on improving educational opportunities for children across the U.S.
A recent front page article in the San Francisco Chronicle entitled, "Return of debate teams is helping urban students find their voices" reminds us that debate is an excellent way to promote learning that is aligned with the Learning in Afterschool principles. Eric Wilcox, a teacher at Balboa High in SF says, "It's one of the great tools to hook kids who aren't being served by the current institutional models." When we launched the Learning in Afterschool Project, we placed two videos on our website featuring debate as an excellent learning opportunity. One is a "60 Minutes" feature highlighting a champion urban team in Baltimore, and the other is from Fire in the Mind. 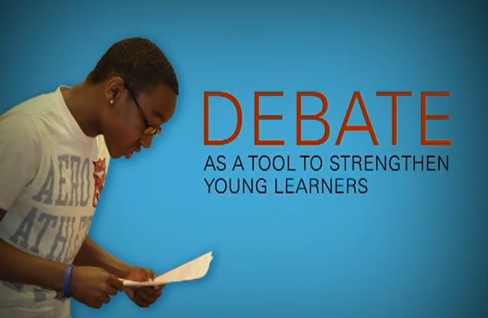 We're happy to see debate gaining acclaim as a way to engage and inspire kids. For more information about sponsoring an Urban Debate team, you can look at the National Association for Urban Debate League. You can also check out the Bay Area's own chapter, Bay Area Urban Debate League. The Department of Education has launched a new website to support the many 21st Century CLC programs across the country. 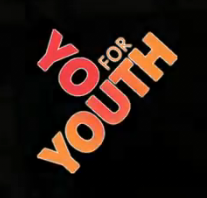 You for Youth is a new website launched with the Afterschool Professional in mind. The site will help you, ".. connect and share resources with your colleagues, provide professional development and technical assistance opportunities, and offer tools for improving your program practices." You can find curriculum information and videos, STEM activities, project-based learning, as well as information about aligning with the school day and strengthening partnerships. There are sample lessons--including those from Journey North, where students from across America participate in the online tracking of the monarch butterfly migration. The site is filled with useful tools for afterschool professionals. There's a searchable map of the United States that enables you to click on your state and find contact information and lists of afterschool providers in your area.